Beds: 2 doubles, Trundle bed for two. 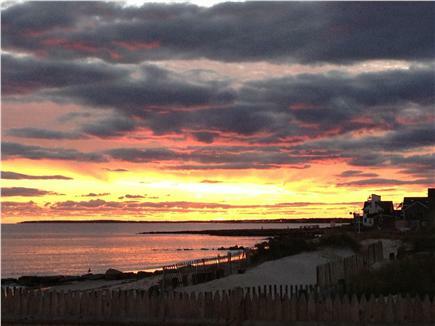 COME BACK TO QUINTESSENTIAL CAPE COD! Location is everything. 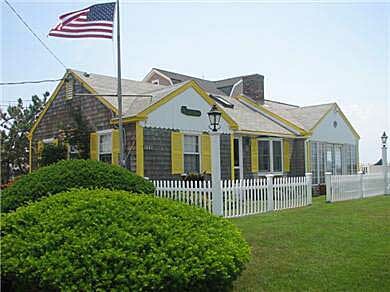 Warm and inviting, flowered and vine-covered, cozy and quaint three bedroom OCEANFRONT vacation home located directly on a private beach on Nantucket Sound in West Dennis, Cape Cod, Massachusetts. THE HOMEOWNERS WILL REBATE HALF OF THE NEW MASSACHUSETTS SHORT TERM RENTAL TAX FOR FULL WEEK RENTALS IN JUNE, JULY, AUGUST AND SEPTEMBER BOOKINGS. 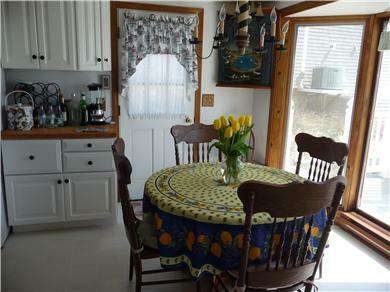 Not your customary Cape Cod rental! Take in the magnificent western sunsets, while sipping cocktails on the deck overlooking the ocean, enjoying a meal, or just lolling about with a good book, in the hammock! 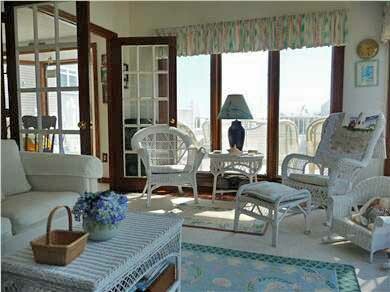 The Sunroom offers a view of the ocean as well. There is central A/C and a spare window unit available. No need to walk or ride to the beach as you are steps away from your own. 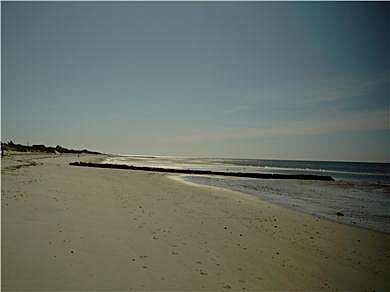 We are protected on the ocean side by a wooden bulkhead then just 5 or 6 steps down to the beach. Beautifully appointed with all the amenities to make your vacation one of the most relaxed ones ever. 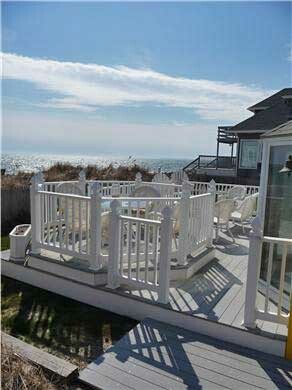 Located on private cul-de-sac between the ocean on one side and a salt water pond on the other. Ospreys nesting nearby. 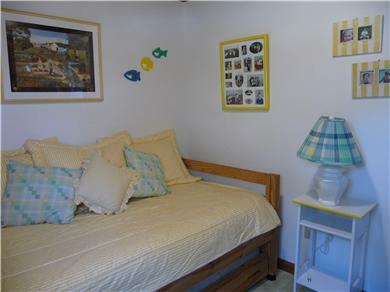 Great for kids - private playground included - or as an adult retreat. Ocean kayak for cruising the shore, Bluefish and water fowl abound. Seeing is believing. 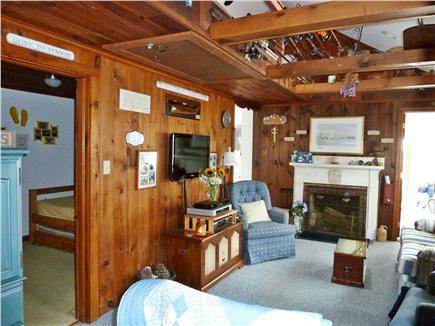 32'' Flat Screen TV with Cable, Blue Ray DVD and VCR player, fireplace, grill, outside shower, 1 1/2 baths, deck umbrella. 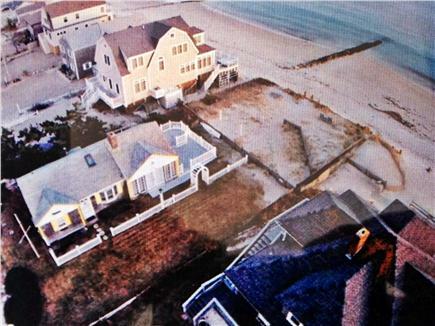 Kitchen and family room overlook ocean. LINENS NOT SUPPLIED because of short turnover times. Linen suppliers can be recommended. 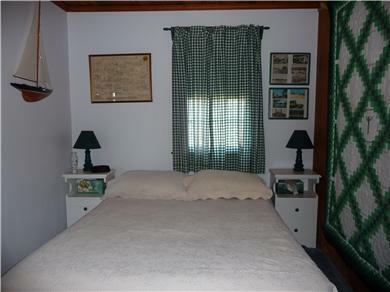 There are Two full-size beds and one double trundle bed. 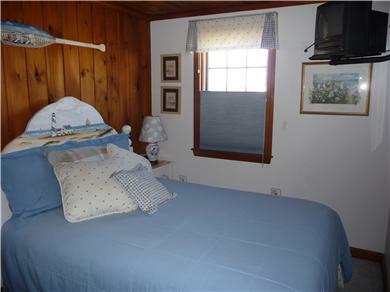 (two twin equivalents) Each room appointed in classic Cape Cod style, with lovely paintings and prints in each room. Free Wi-Fi and local telephone. Additional pricing info: NEW:12.45% Rental tax. $95 Cleaning charge added in Off-season. $75. addn'l, for unclean grill. State and local taxes of 12.45% will apply. One low step into home. Five or six wooden steps down to the beach. I'll never be able to say enough good about this home.... Not only was it exceptionally clean and well-decorated, but it was literally steps to the beach and also had a great playground in the back for my grandchildren. We had a fantastic vacation! Many thanks to the owners for their prompt communications and for being so nice to our family. We would DEFINITELY love to rent once again! Beautiful place.... Thank you!!! Charming beach cottage with an amazing view and steps to the beach. September Is my favorite time at the Cape. 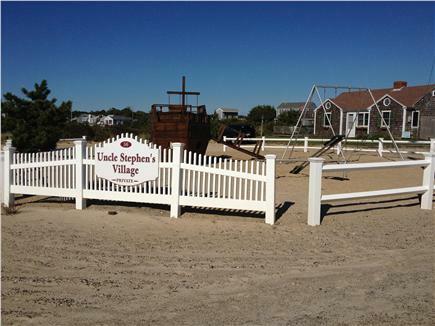 The location was centrally located to all our favorite Cape Cod activities. We loved our morning walk on the beach, watching the ospreys on the pond and sitting on the deck listening to the surf.